Is OCD Really on the Rise? Magical Numbers and OCD – Your Number Is Up! Emetophobia the Phobia of Vomiting – Does it Relate to OCD? Pure ‘O’ – Fact or Fiction? What Should you do if Your Friend Refuses OCD Treatment? Hypochondriasis: What is it and How do you treat it? How OCD is Diagnosed in Children? Symptoms in Teens – What Other Symptoms Might Be OCD? Symptoms in Teens – What’s A Normal Worry and What’s Not? 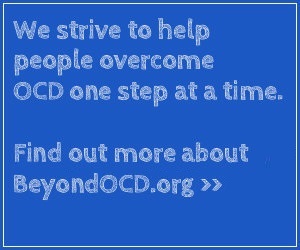 Medication Can Help Treat OCD – But Don’t Go It Alone. Should I Change Schools to Get Treatment for OCD? What If I Don’t Get Treatment for My OCD? Do I Have To Be Hospitalized to Treat My OCD? Why Can’t I Just Stop My OCD? Is OCD A New Disorder? What if you can’t afford treatment? What The Heck is Obsessive Slowness?